JohnMasone.com - No More Credit Card Offers! 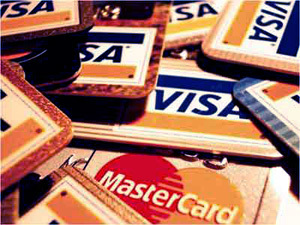 No More Credit Card Offers! Nearly every day I get offers for new credit cards in the mail. I'm pre-approved, hooray! The thing is, I have great credit, so I can pretty much get any credit card I want. And thats what I do, my cards are all rewards cards. 5% off gas, 5% off cell phone bills etc. Lets you Opt-Out of all of them. Credit card companies and insurance companies apparently get their lists from the credit bureaus, and if you Opt out via that web site, in a few months you should never get any more annoying offers. Just think of all the trees you'll save! And time you'll save. Now if I could just find a way to get off of the ValuePak coupon mailing list!